Used in 67 recipes at an average of 1.295%. Wow! This was a huge challenge. As many mixers know, a really good chocolate is hard to develop. For one, it seems most, if not all, chocolates have off notes. Some have plastic notes, others have a mustiness, and others have both. While a good long steep can take out some of the off notes, it doesn't always go away and it's very hard to cover up these off notes. My approach was to find the one that had the lesser of the two evils and I think I found it. Now the profile I was going for was my interpretation of Metix Golden Ticket. I'm not calling it a clone, but you can be the judge whether it's close or not. Metix describes this profile as chocolate milk with a rich creamy twist. I'm not sure if that's an accurate description of the flavor I get, but it is a wonderful eliquid. To me, it absolutely does have a creamy twist but the chocolate milk part seems different than just a "chocolate milk". I get a chocolate fudge with slight caramel notes with just a hint of coconut and a very rich cream. 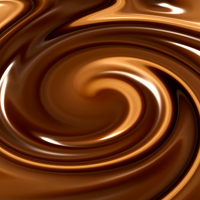 It is a wonderful blend of chocolates and cream. So, here is how I approached it. This was difficult. As I mentioned, there's just not a lot of chocolates out there that don't have off notes. But there is one that stands above the crowd, HS Australian Chocolate. This one seemed to have the least off notes and after a week steep no major detectable off notes. Off the shake it does have a slight mustiness but so much less than all the others I have tried. I had considered LB Lava Cake but that flavoring seems to be better in a bakery rather than a chocolate milk. HS Australian Chocolate at 3% was the best choice for this. The HS Australian Chocolate, however, was not right own it's own for this profile. It needed that hint of coconut and that slight caramel I was tasting. Now I didn't want the coconut to take over the mix which is easily done if used too high. TPA Coconut Candy at .25% was all that was needed to make the chocolate have deeper dimension to it and to add a bit of sweetness. The caramel note was a bit harder. I wanted to add that slight caramel note but with out giving it a "butterscotch" taste. FW Salted Caramel is one of the best caramels out there, but it has a "nutty" note that I didn't feel was right for this mix. I settled on TPA Dulce De Leche Caramel at 1%. This was the perfect choice. It has a milky note like condensed milk that added to the "chocolate milk" part of the profile and a slight caramel. Anytime I'm going for a "milk" the first flavoring I grab is FA Meringue. It seems to do so well as a milk in many profiles. But this profile needed a twist. I needed a deep rich milk to compliment the chocolate and HS Italian Cream was it. If anyone is wanting a full bodied rich cream I highly recommend HS Italian Cream. FA Meringue at 2% and HS Italian Cream at 1.5% was perfect for this "Creamy Twist" I was looking for. Metix Golden Ticket is a very nice eliquid. It is, however, on the upper side of sweetness for me. But one thing I've learned is that chocolates need that sweetness. I added .5% CAP Super Sweet which may be too high for some, but that's the beauty of DIY, you can modify to your liking. If you don't mind a very slight mustiness, this can be a shake and vape. However I suggest letting it steep for about a week and 2 weeks is even better. 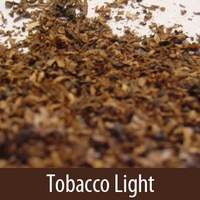 A smooth,creamy,light tobacco vape.easy to mix and a good company for all day.enjoy!